Jo Sarsby Management are one of the leading promoters of factual talks and specialist theatre shows in the UK and Ireland. We continue to work with an ever growing roster of quality speakers and are committed to discovering and working with new talent. Wilderland is a brand new film festival bringing important, breathtaking stories from the natural world to the big screen, made by independent filmmakers from around the globe. These ground-breaking short films will offer audiences unparalleled insight into some of the world’s most incredible wildlife, from snow leopards to orangutans to humpback whales. Alice will share insights, anecdotes and behind-the-scenes stories from her personal journey to explore Britain’s past, with footage from her programmes and excerpts from her books. Get ready to go on an exciting pre-historic adventure as Ben explores the biggest, deadliest and weirdest predators that ever roamed the planet. Pitting the knowledge of unwitting adults against their all-knowing kids, Dr Ben presents an interactive, educational and highly entertaining show which is bigger and better than ever. In this exclusive tour, Alice will share insights, anecdotes and behind-the-scenes stories from her personal journey to explore Britain’s past, with footage from her programmes and excerpts from her books. Produced by Andrew Kay and Phil Bathols in January 2016. After three sell-out Australian tours, Steve Backshall, The star of the hit TV show Deadly 60 is returning to Australia with his brand new stage show. 'Wildlife cameramen don’t come much more special than Doug Allan’ - Sir David Attenborough. Join multi-award winning wildlife cameraman Doug Allan for an evening of behind the scenes stories for all the family, with highlights from the most challenging assignments of his 35 years filming wildlife in the remotest places on Earth. This new presentation traces Doug’s personal journey as he discusses how he’s seen pollution and climate change affect the natural world. Join multi-award winning wildlife cameraman and presenter Colin Stafford-Johnson for an evening of hair raising stories from 30 years filming in some of the wildest places left on earth. Hear about Colin's most special wildlife encounters close to home and learn how to witness them for yourself in what promises to be a spell binding evening. In a brand new show, adventurer-explorer Benedict Allen tells the whole unvarnished truth of his most recent adventures, telling exhilarating tales from his life as an explorer and sharing never-before-seen material from his travels across the globe. Get ready to go on an exciting pre-historic adventure as Ben talks you through the deadliest predators that ever roamed the planet. Pitting the knowledge of unwitting parents against their all-knowing kids, Dr Ben presents an interactive, educational and highly entertaining show which is bigger and better than ever. An interactive wildlife experience like no other that gives audiences a rare opportunity to meet golden eagles, peregrine falcons and many more - all raised and trained with the utmost loving care by bird handlers Lloyd and Rose Buck. Join multi-award winning wildlife cameraman and presenter Colin Stafford-Johnson for an evening of hair raising stories from 30 years filming in some of the wildest places left on earth. Filming and presenting the 'Secret Life of the Shannon', 'Wild Ireland' and 'Living the Wildlife' has lead to adventures in every corner of Ireland. Hear about Colin's most special wildlife encounters close to home and learn how to witness them for yourself in what promises to be a spell binding evening. How do you tame wildness? For hundreds of thousand of years our ancestors existed in a world where they depended on wild plants and animals. They were hunter-gatherers – consummate survival experts, but taking the world as they found it. Then a revolution happened: we started to domesticate wild species and they became crucial to our own survival and success. 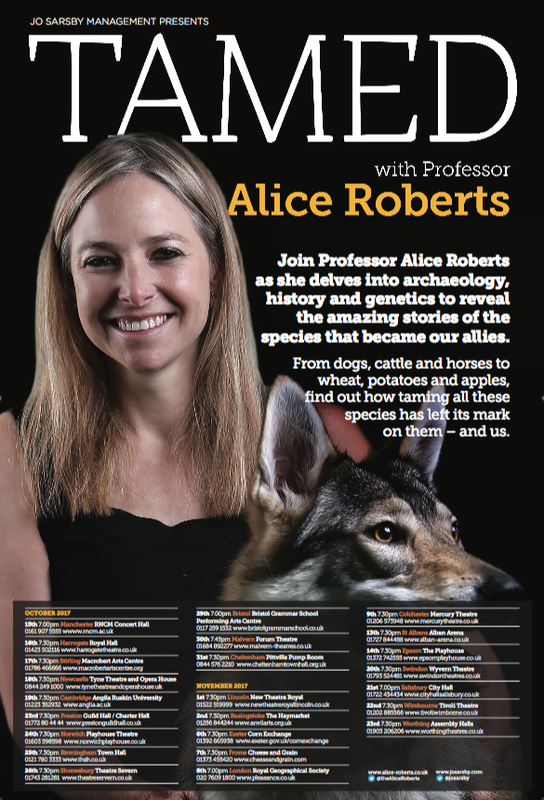 Join Alice Roberts as she delves into archaeology, history and genetics to reveal the amazing stories of the species that became our allies. From dogs, cattle and horses to wheat, potatoes and apples, find out how taming all these species has left its mark on them - and us. Children’s TV presenter Naomi Wilkinson is embarking on a nationwide tour in spring 2017. The show will be packed full of fun and surprises as Naomi is joined on stage by Mark Amey, aka ‘Animal Mark’, and some of his scariest creatures. Join Naomi as she recalls some of her most exciting wildlife experiences from the far flung corners of the world and even introduces the audience to some of the animals she met along the way! The show is suitable for kids of all ages and guarantees a great time for the whole family. An interactive children’s show using footage from the BBC’s Planet Dinosaur to explore the deadliest predators to ever roam the planet! Why did Allosaurus headbutt its prey to death? Was every Tyrannosaur a fearsome carnivore? Did dinosaurs eat their own families? 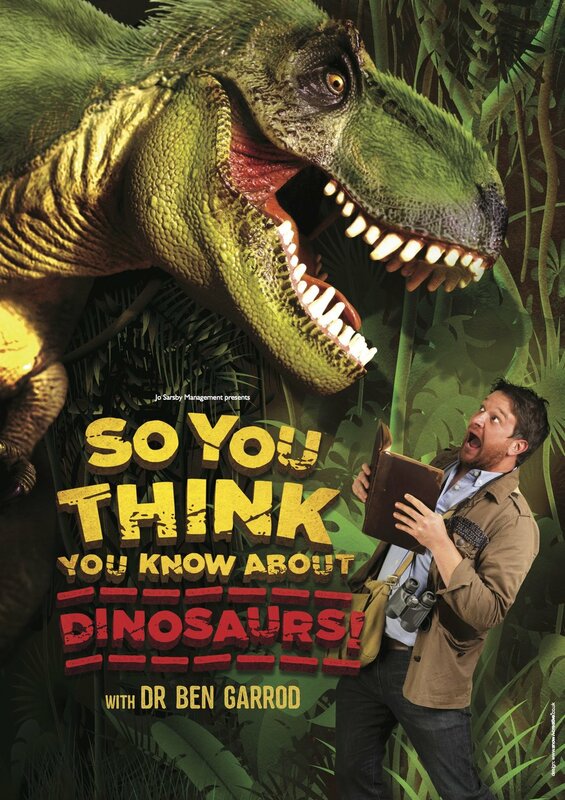 Come and test your knowledge against Ben Garrod. "Big animals are my passion." That's how multi-award winning cameraman Doug Allan introduces his new show – In The Company Of Giants. What's it like to face a hungry polar bear and its cubs as they emerge from their den? Or swim eye to eye with an enormous Southern Right Whale? How do you look for killer whales in the vast reaches of the seas around Antarctica? Join Doug for an unforgettable evening of extraordinary animal adventures and unique wildlife film footage. Ask Doug questions about his encounters and travels, and discover what it's like to be up close and personal with nature's biggest creatures. Wildlife TV presenter, adventurer, naturalist and writer Steve Backshall takes us on a tour of the real life expeditions that have inspired his novels The Falcon Chronicles. It’s a wild journey, illustrated with photos and films from his expeditions from the Arctic to the Antarctic, from the tundra to the top of the world’s highest peaks, and from the depths of the rainforest to the bottom of the sea. This talk is suitable for wildlife enthusiasts of all ages from eight to eighty. 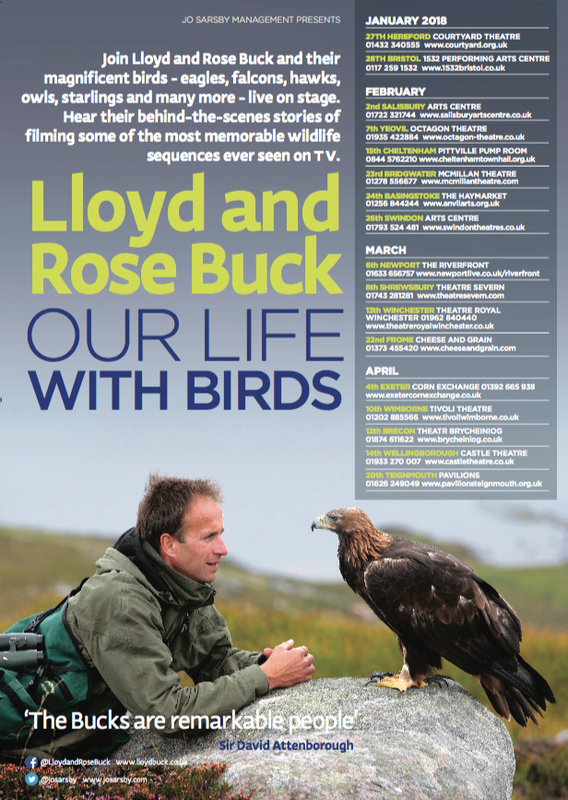 Get your wildlife questions ready as there will be plenty of opportunities during the show to quiz Steve. Join Gordon Buchanan, the highly acclaimed wildlife cameraman and presenter of The Bear Family and Me and The Polar Bear Family and Me, as he hosts an evening of exciting personal recollections, and lets you into his world of weird, wild and wonderful wildlife. With twenty years experience of travelling across the globe, Gordon has a reputation for relishing dangerous and tough assignments. Listen to his adventures as he leads you through his life of challenging expeditions and enthralling wildlife experiences. Marvel as he shares his tales alongside his own film footage and brilliant images of all that he has come to face, and answers your burning wildlife questions. Adventures, encounters and insights from the BAFTA award-winning cameraman whose TV credits include Blue Planet, Planet Earth, Life, Human Planet, Ocean Giants, Frozen Planet and Secrets of our Living Planet. Join Doug for an unforgettable evening as he takes you up close and personal with the animals that live in the wildest places on earth. Stories and pictures that will appeal to all ages. Join Steve Leonard, Martin Hughes-Games and Doug Allan for an hour of animals, adventure, banter and thrilling insights into their greatest encounters with the natural world. Adapted from her own book of children’s poetry, popular TV presenter Michaela Strachan takes families on a delightful journey through an alphabet jungle of animal rhymes. From antelopes to zebras, from orphaned orang-utans to polar bear dentistry, this is a whistle-stop, interactive show full of poetry, dancing, music and lots of fascinating wildlife facts. Adventurer Steve Backshall talks about his expeditions, encounters with wild wonders and the mysteries of the natural world. TV’s celebrated wildlife presenter accompanied by Animal Mark Amey plus a hand-picked selection of weird and wonderful animals. Fascinating fun for all the family!